It can easily connect to your art curriculum. It can support your history lessons as children learn about life before electricity. 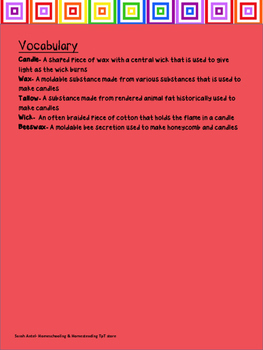 Additionally, children are required to follow directions as they are working around hot wax. 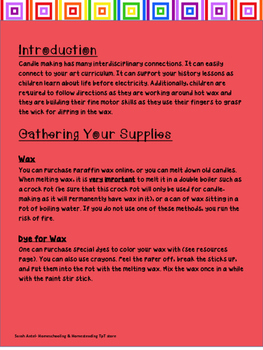 They are building their fine motor skills as they use their fingers to grasp the wick for dipping in the wax. 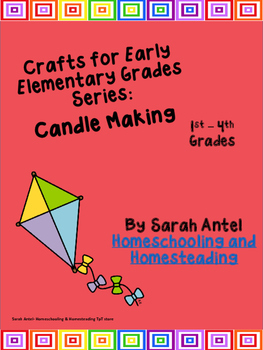 This lesson plan from Homeschooling and Homesteading offers detailed directions on how to make dipped candles with your class. 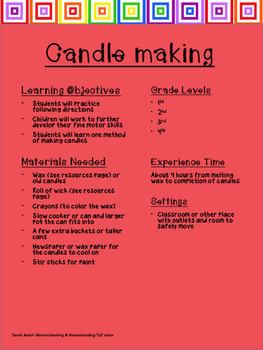 An extensive list of resources for the materials is also included. Follow our store to keep up-to-date on new lesson plans.